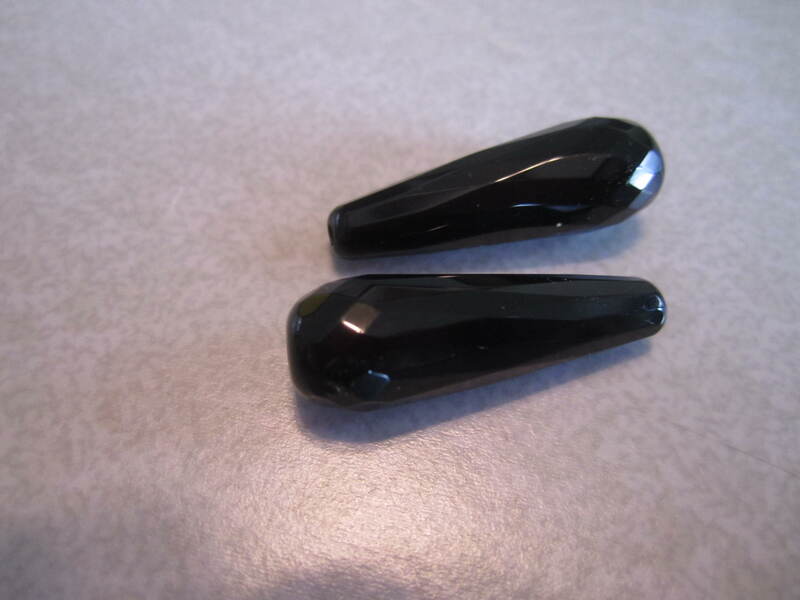 I have decided to share with you new bead stores I find along the way that I love and some I have been shopping at for a while and highlight them here and add links so you can find them !! 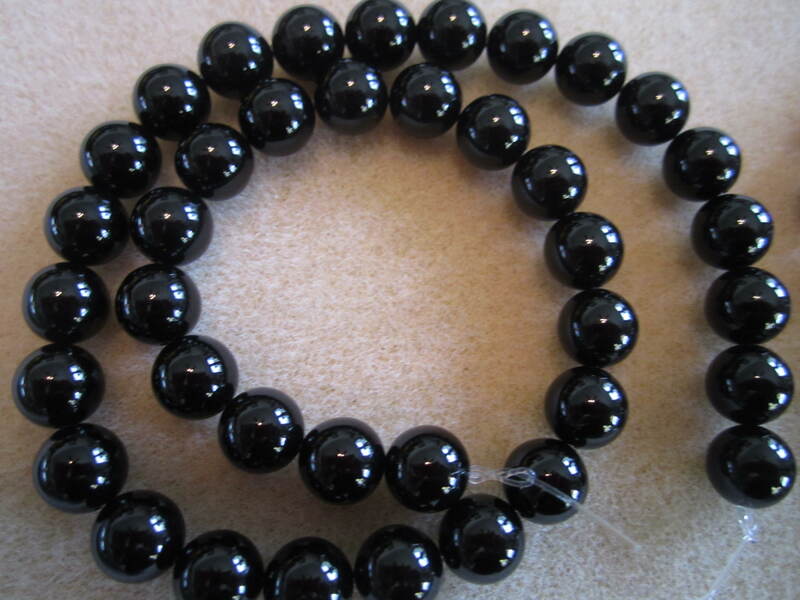 The first one I am going to focus on is one I just discovered, Aunties Beads . I took this off the computer with my camera, but I know when I go to a new page, it helps to know what it looks like to make sure it is the correct one !! I love this store !! I am so happy to have found it !! I am always excited to find a new bead store and this one did not disapoint !! I allowed myself 25 dollars to shop, but ended up going over by five dollars !! I had to cut my cart a few times because I had found so many wonderful things to get, but wanted to stay on budget, or close to it, but I will be back as I have many things I loved on this site ! I have been exploring since I ordered and found so many interesting things they offer. I did not notice the day I ordered because I was looking at beads !! Since I decided to write about them, I wanted to check the site out more and I found lots of interesting things !! They were founded in the fall of 2000 so they are a 14 year old company !! They decided they wanted to sell things that you just did not find at your local big box craft store. 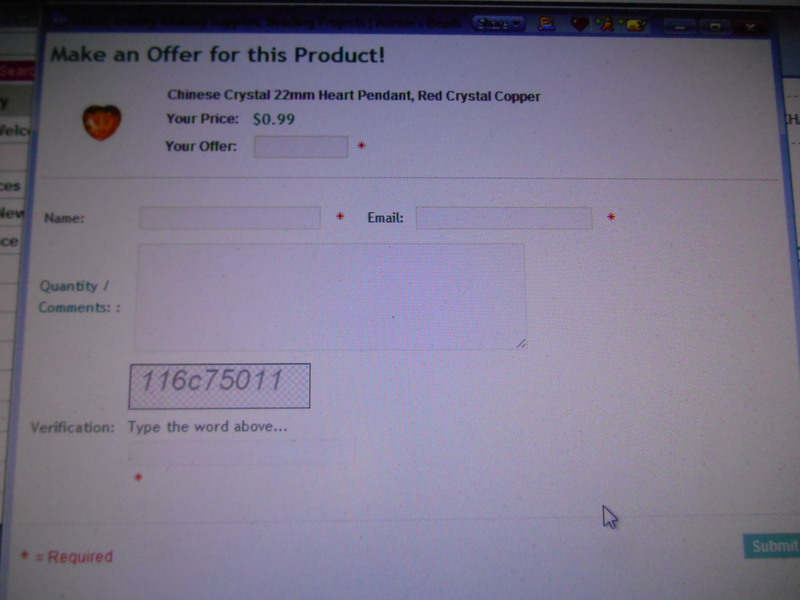 They wanted less items than many of the online store offer, so you would not be overwelmed, but they wanted very good quality. They have done a great job. They love t hier customers and like to interact with them. They post thier phone number for you to use if you need it, they have a face book group you can join, a bead chat, and offer lots of great ideas on thier site for a beaders inspiration. I also found out they give you points on each purchase which they redeem for a gift certificate in thier online store. You can start using them at a 350 point limit and up, 350 is a 5 gift certificate. To add to that , they offer you another way to save money. Beaders advantage. You can save 10 percent per purchase and free shipping in the US, and 3.99 flat rate for canadian shoppers. What a wonderful deal. 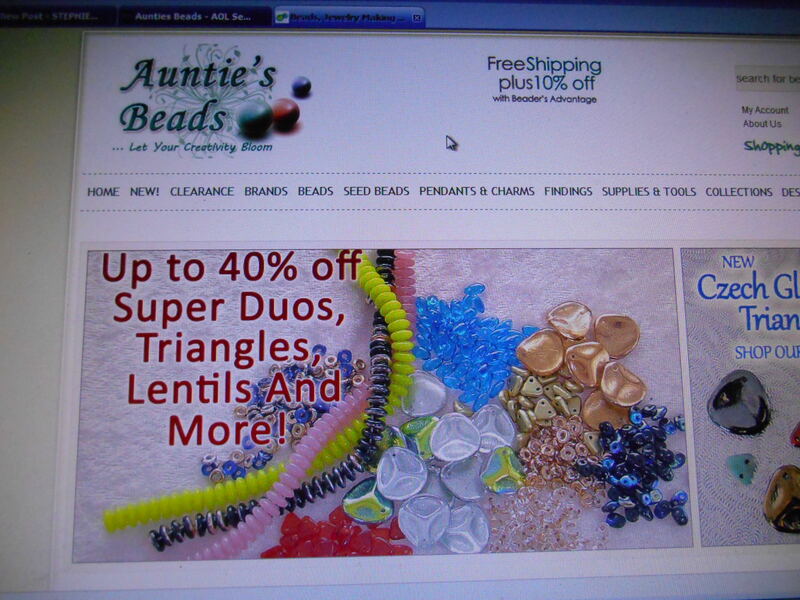 It is 25 for one year and 45 for two years , but if you buy a lot , like many of us beaders do, you will make that back quickly in discounts and shipping, although I found thier shipping rates very reasonable if you chose to not sign up for the Beaders Advantage. I was too excited shopping my first time to give it a try, but I plan to and with thier Beaders advantage plan, if you make an accepted bid, then the ten percent will not count on that item, but any other items in your cart that you did not bid on, will get the 10 percent off. I am really interested in finding out more about this make a bid option. However, with ten percent off and free shipping, I plan to join next time I purchase because that is a great deal on top of thier already good prices. Next was to find some beads to go with it and to maybe make a bracelet as well to go with them if I found something I loved. Oh wow , I found more than one thing I loved, but decided on this pretty pink !! 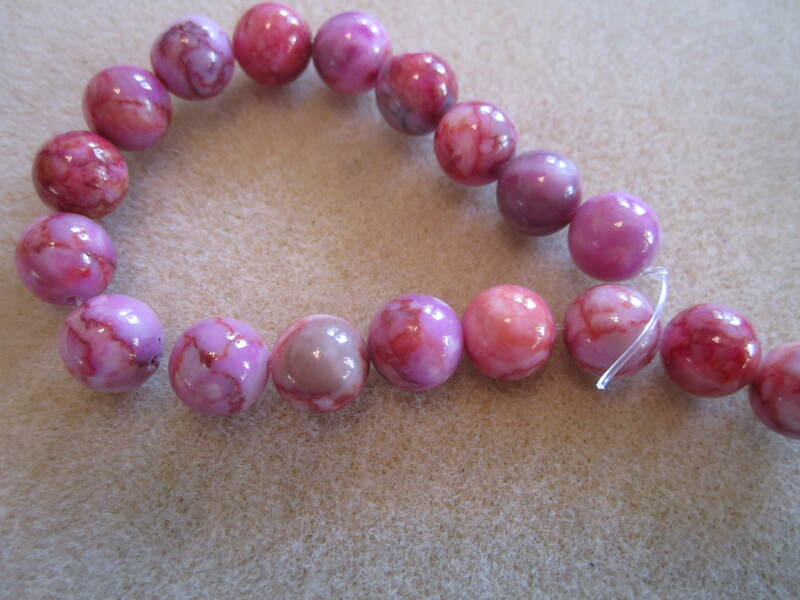 It is a pink matrix jasper gemstone, so pretty, I love it, 10 mm which was perfect for the 10 by 30 mm drops and I loved the color variations. They are all the same size, the picture just makes the ones closest appear bigger !!! 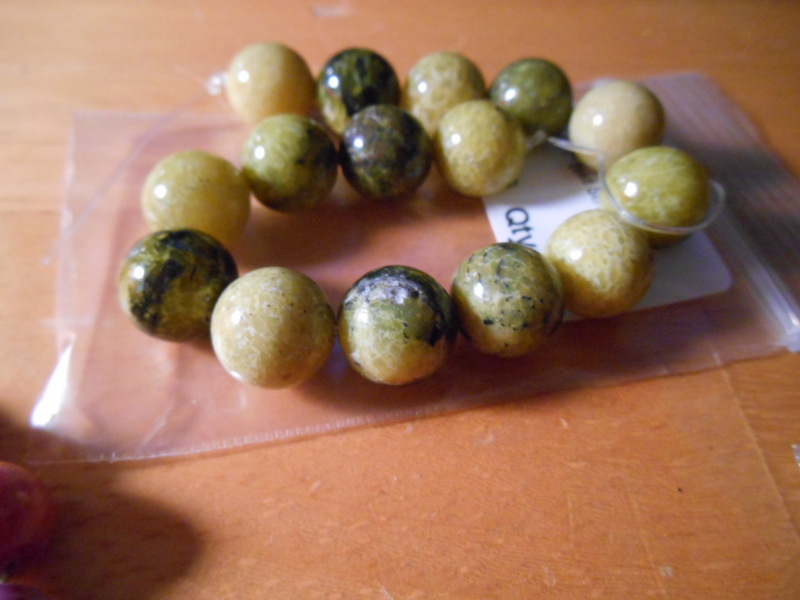 I also thought about using these slightly bigger ones , they are a 12 mm yellow turtle jasper, so pretty !! I fell in love with them as well. 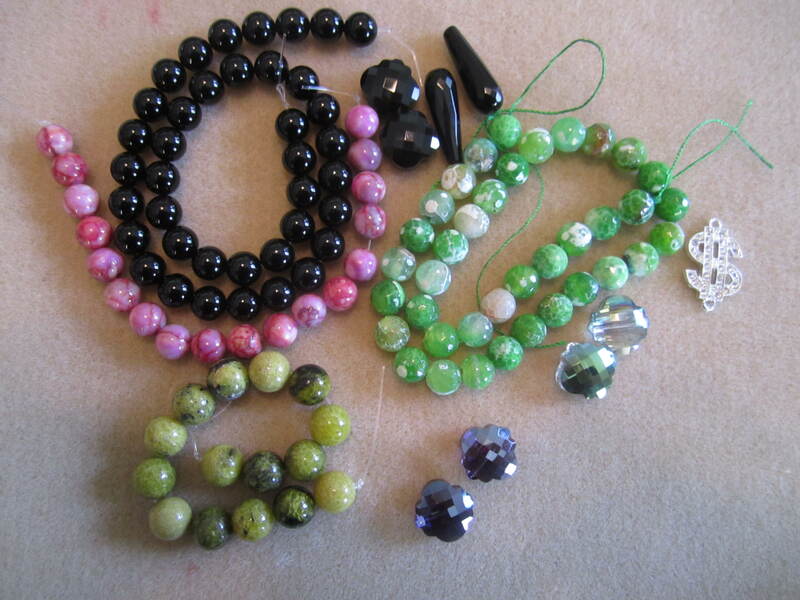 So, I decided to find a couple of blacks to use, and then I could use the pink with the earrings, make a bracelet and then make another bracelet with these pretty beads. look at that rich purple, I love it !! 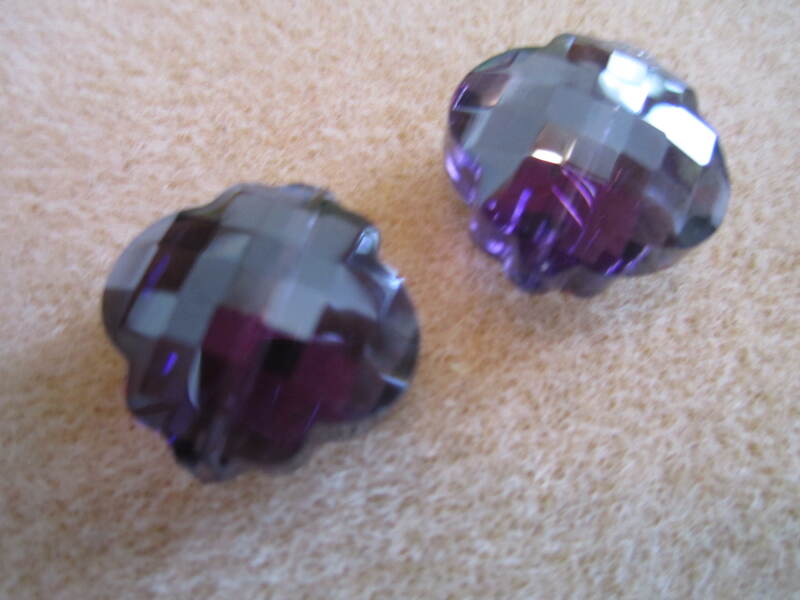 I just finished a huge order with purples and have six 18 compartment boxes of purple, these will be used in a couple of pieces, I am very excited !! I have some smaller drops with this green vitreal finish, so I had to have them !! We actually used a lot of them on the purple projects because they have so much purple in them !! I could not resist this cute dollar sign as I have a personal finance blog and love to stage things for the header and being sparkly, I could not resist, but wanted to find a green stone to go with it , and I found one !! 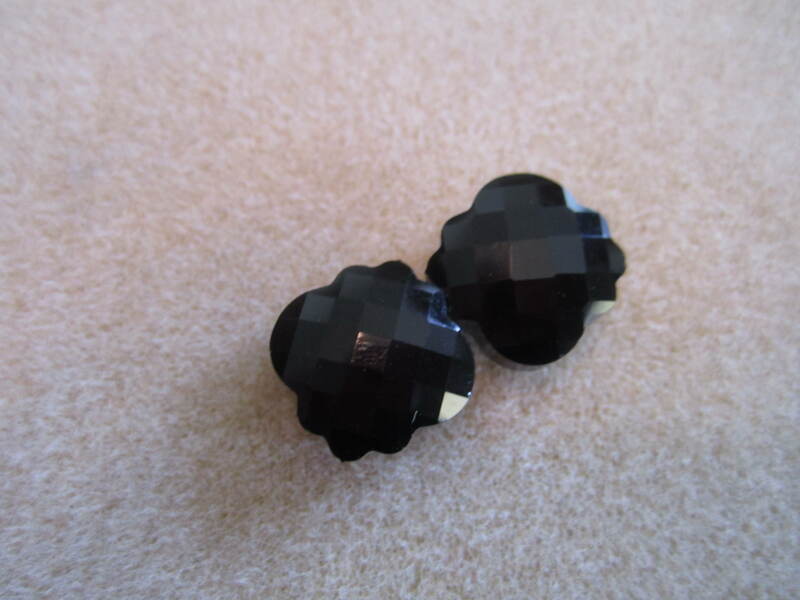 Also 10 mm , so a nice size !! 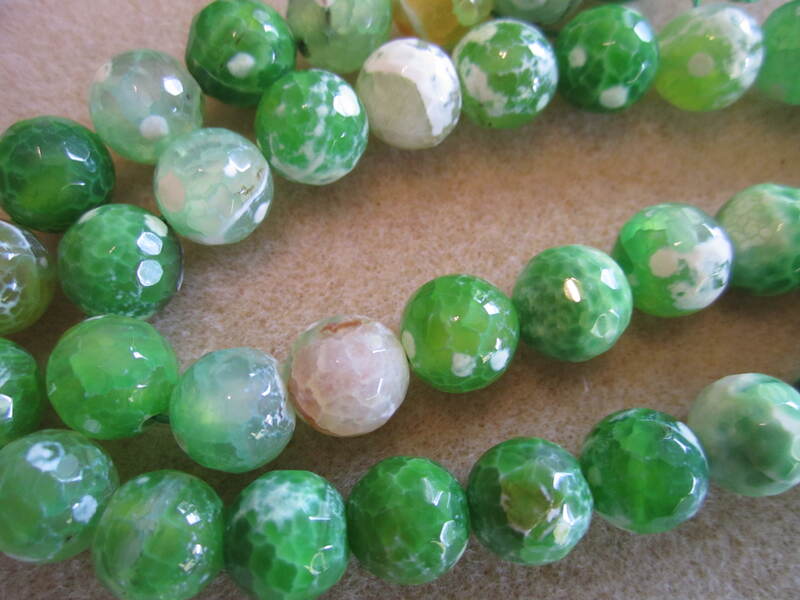 I have boxes and boxes of green glass beads and a few other green stones, but these are wonderful and perfect to go with my connector !! So, here is everything together !! For 35 out of the door, taxes and shipping included, I was very impressed !! 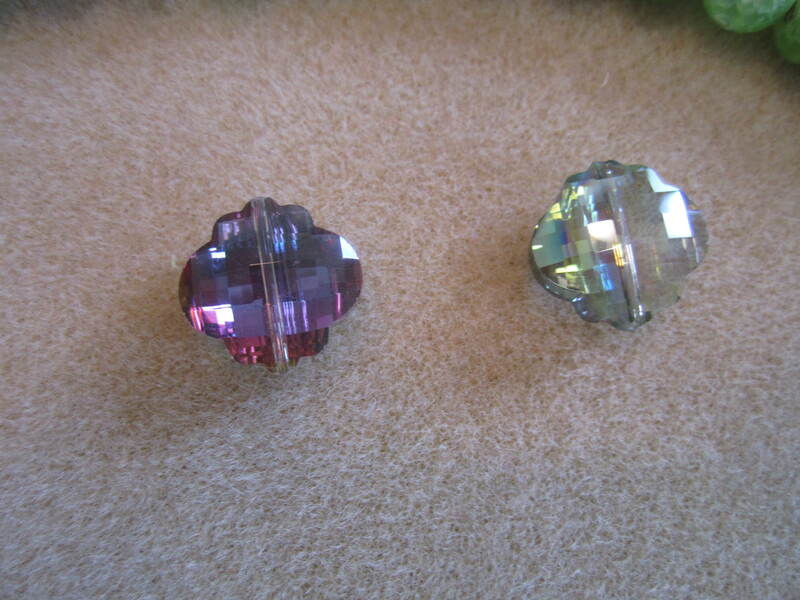 The quality of the items is amazing, and that is what they pride themselves on. I will put a link to thier store to the right of my blog and when I find stores to showcase I promise to always add the address so you can check them out too !! I highly recommend this store. I plan to join thier facebook chat and see what everyone is up to as they seem to be very involved with thier customers. I will be ordering again very soon, I feel in love with so many items in thier store. I think you will too !! Let me know what you think, and if you have any online bead stores you think I should check out, let me know , I would be happy to ! I will be posting the finished items as soon as I get them done, I cannot wait to see how they come out !!! ← Wire wrapped bracelet and my new beading addiction ! !